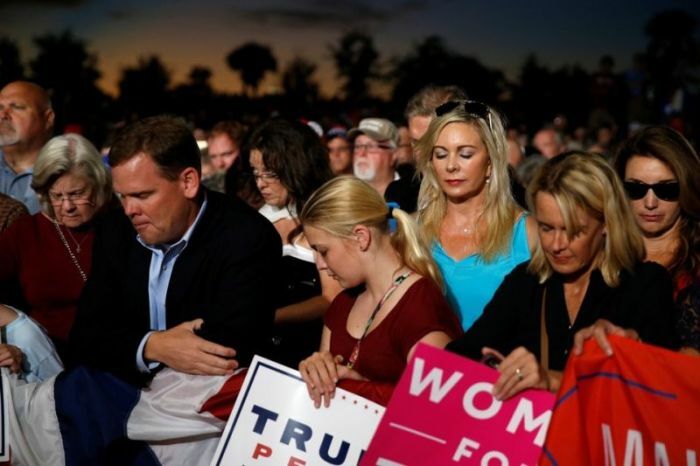 Pew also found that the lowest levels of support for Trump came from religiously unaffiliated Americans, who gave the president a 24 percent approval in February 2017 and 20 percent approval in February 2019. “Religiously unaffiliated Americans consistently express among the lowest levels of approval of Trump’s performance, ranging from 17% to 27% across the polls the Center has conducted since the president assumed office,” added Pew. The Pew analysis comes amid recent findings indicating that a plurality of white evangelicals disapproved of Trump signing Bibles while visiting victims of the tornadoes in Alabama.